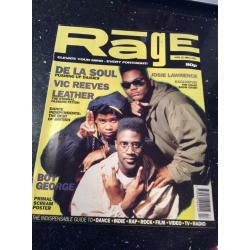 Rage Magazine was an urban magazine with its debut issue being released in the summer of 2006. The magazines print-run increased from 10,000 to 80,000 copies, and was found across Canada and the US. 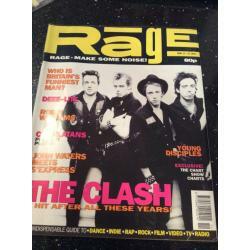 Rage was an edgy street magazine with the size format of 9×10", the magazines content was mainly on music and fashion. The magazine had a column by George Jung and collaborator Melissa Auf der Maur. Issue 5 was nominated for Best Cover at the 2007 Grand Prix in Quebec.